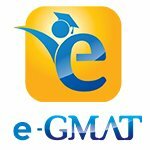 On popular demand, the e-GMAT question bakery has become active again. Here comes a fresh one. Try this one and post your detailed analysis. Posts with correct detailed analysis will get Kudos from us. Engadget just reported that Nokia has launched the Lumia 1020 with 41 megapixel camera, and that it has 20 million more pixels than any other smartphone with a camera launched this year. Originally posted by egmat on 28 Aug 2013, 06:46. Last edited by Bunuel on 11 May 2018, 13:25, edited 2 times in total. USE OF IT is ambiguous.==>IT CAN REFER TO lumia 1020 or camera or nokia. Same as A IT is ambiguous. HAVING can modify NOKIA...which is WRONG. wrong comparison: camera compared to smartphone. Use of AND conveys the meaning that Engadget did 2 different things, but this is not the intended meaning of the sentence. In fact Engadget did only 1 thing. Thus Incorrect. I won't say that "IT" is ambiguous coz logically neither a company nor a brand name can have pixels. Use of AND conveys the meaning that Engadget did 2 different things, but this is not the intended meaning of the sentence. In fact Engadget did only 1 thing. "Use of "WHEN" is incorrect. Such use means that Lumia has more pixels ONLY when we compare it to other smartphones. If we don't compare then it doesn't have more pixels. Thus Incorrect. I won't say that "IT" is ambiguous coz logically neither a company nor a brand name can have pixels. This option is incorrect as it compare a camera to a smartphone. I'd go with D as comparison is correct - Camera of Nokia to that of other smartphone. Look forward to more 700+ from you Shradhha! In option A,B "it" is ambiguous.. In option C "having" is incorrect. B.	and it has 20 million more pixels when compared to any other smartphone’s camera --> More cannot be used with "compared to". C.	having 20 million more pixels than any other camera in any other smartphone --> verb-ing modifies the preceding clause whereas we need to modify only the camera. A - it- has no clear antecedent, if it was suppose to be refer to the camera the sentence make a comparison between the camera and any other smartphone. B- it- again with no clear antecedent and lack of parallel with no "that" at the beginning. when should refer to a time phrase only. C- having - modifier that break the sentence , it refer to the whole clause instead of a noun - camera. E- comparison between camera and any other smartphone. nice one! it's good to read something fresh,High tech cellphone, instead some biologic and boring story. But if you see, even a phone can have pixels, not just the camera in the phone. Resolution of phone is given in pixels. So even though I chose the correct answer, I was detained by this fact for several seconds. Kudos would be appreciated -:) ! correct answer, I was detained by this fact for several seconds. Well, you can say that I got into the writer mind, because you are comparing cameras here..Correct me e gmat if Im wrong . "and" here suggests that both the ideas are independent. "it has 20 million...." is modifying camera, and therefore it is best conveyed using a noun modifier. therefore this is incorrect. this construction should modify the previous clause but is modifying the previous noun. therefore this is incorrect. noun + noun modifier is employed to modify camera, a noun in the previous clause. this is correct. a camera is compared with another smartphone. therefore this is incorrect.